The Gustavus women’s track & field team competed at the CSB-SJU Indoor Invitational on Saturday and recorded 110 points for second place. The Gustavus men's and women's cross country teams competed in the MIAC Championships on Saturday and each finished in sixth place. 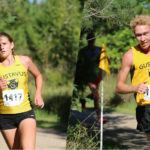 The Gustavus men's and women's cross country traveled to Waverly, Iowa on Saturday to participate in the Wartburg Invite. 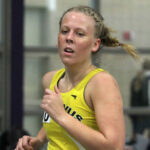 The women finished in second place of 19 teams while the men finished in sixth. 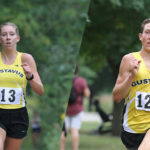 The Gustie men's and women's cross country teams will both head to Bloomington, Minn. on Saturday for the Augsburg Invitiational. 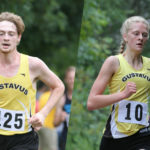 The Gustavus men’s and women’s cross country teams headed to Crown College on Saturday morning for the Crown Invitational. 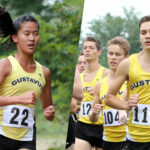 The Gustavus men’s and women’s cross country teams posted great showings in their first races of the season Friday at the Crown College Invite. The women took first place out of nine teams, including four runners in the top-10, while the men took third out of eight teams. 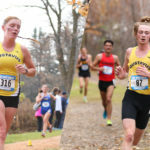 The Gustie women finished one point ahead of Wartburg, while the men finished one point behind second place Concordia-St. Paul.